From left to right: Malta Fashion Week Chairman Adrian J. Mizzi, Valletta 2018 Chairman Jason Micallef and Arts Council Malta Director Strategy Toni Attard announcing details for Malta Fashion Week 2017 earlier today. Photo: Jonathan Borg. 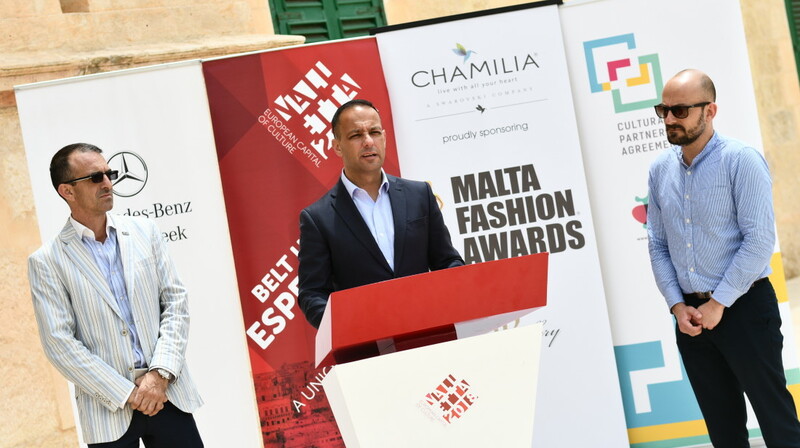 The Valletta 2018 Foundation, in collaboration with the Mercedes-Benz Malta Fashion Week, is supporting the seventh edition of the Malta Fashion Week which will be taking place at Fort St Elmo, Valletta from the 22nd to the 27th May. Mr Micallef added that fashion is a major contributor to the world’s visual culture and this event provides a platform for local talent to showcase their artistry. Through the Cultural Partnership Agreement, Arts Council Malta is funding the Malta Fashion Association, which supports the participation of local young emerging fashion designers in the Malta Fashion Week. “This investment adds value to our wide range of 11 partnerships with the creative sector whilst upholding our commitment to support the development of creative professionals and their artistic excellence”, said Toni Attard, Director of Strategy at Arts Council Malta. He added that the Malta Fashion Week serves as an important platform for the designers’ creative growth particularly in terms of networking, exposure and visibility in the local and international scene. Around 19 local designers will be showcasing their work to the public, alongside international designers from Serbia, Italy, France, Romania and Greece. Apart from fashion shows and fashion parties, this year’s edition of the Malta Fashion Week and Awards also includes exhibitions, presentations and showrooms in which designers can display their pieces and network with other industry professionals to further their career.